Baby Onesies! I am a beginner at sewing, but after seeing a pin on pinterest, I thought I could attempt to make a few for a dear friend that is having a baby. 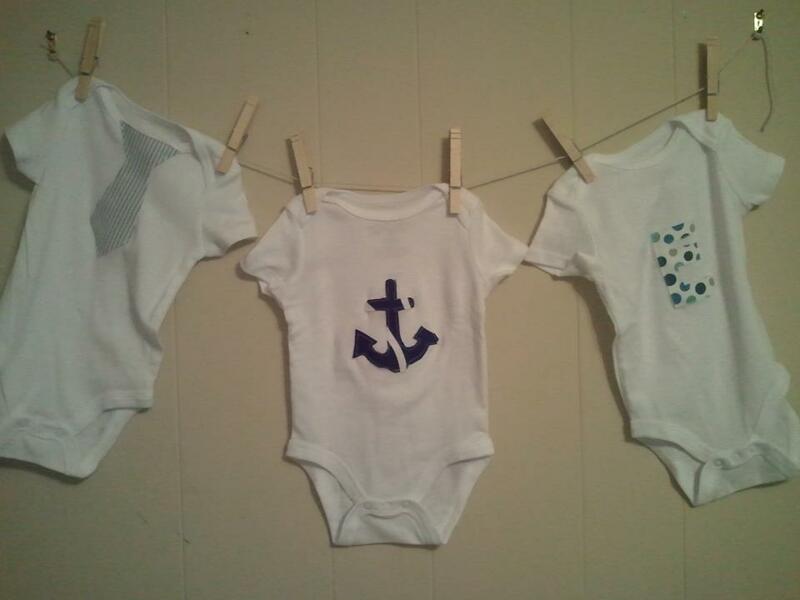 I thought they turned out pretty cute, especially since the selection of boy clothes is limited in the stores. Christmas Wreath: Originally, I found an all white wreath on pinterest, but wanted to put my own spin on the design. 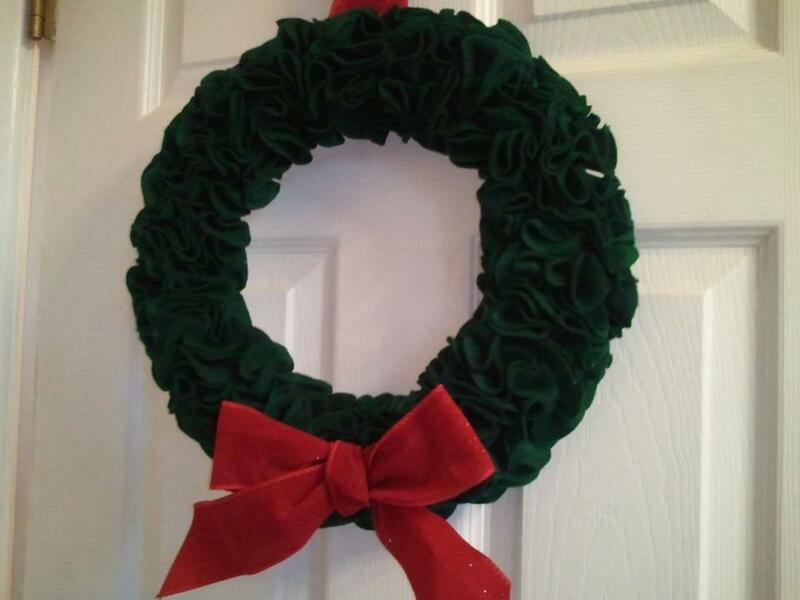 I decided to do a green wreath, as it would go good against our red front door. The whole process was actually very easy- cut felt circles, pin them onto a Styrofoam ring. I spent maybe $10.00 on the project after I bought the styrophom, felt, and sewing pins. I say it was worth it to create something that can be used for many years to come. Paintings: My sisters came over to my house last week for a slumber party and we had so much fun painting our own canvases. 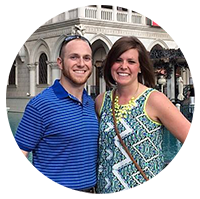 We all found some inspiration on Pinterest and then adapted the design and colors to fit our own lives. 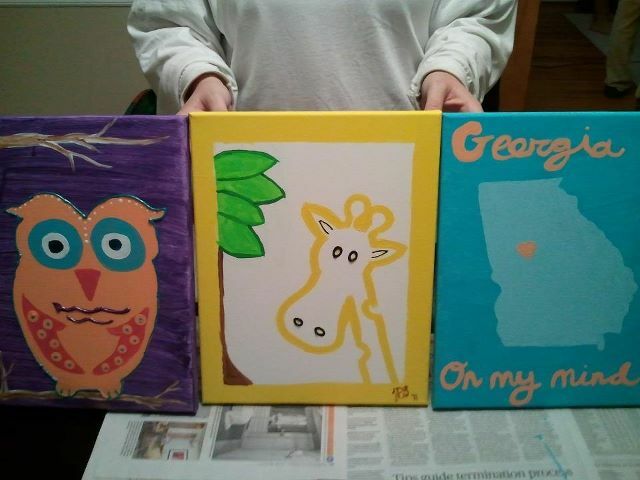 Mine is the “Georgia on my Mind” canvas. Crayon Art: Finally my last piece of Pinterest art was a rendition on the crayon art. I already had a black and pink painting so I wanted something mono-toned to go with it. 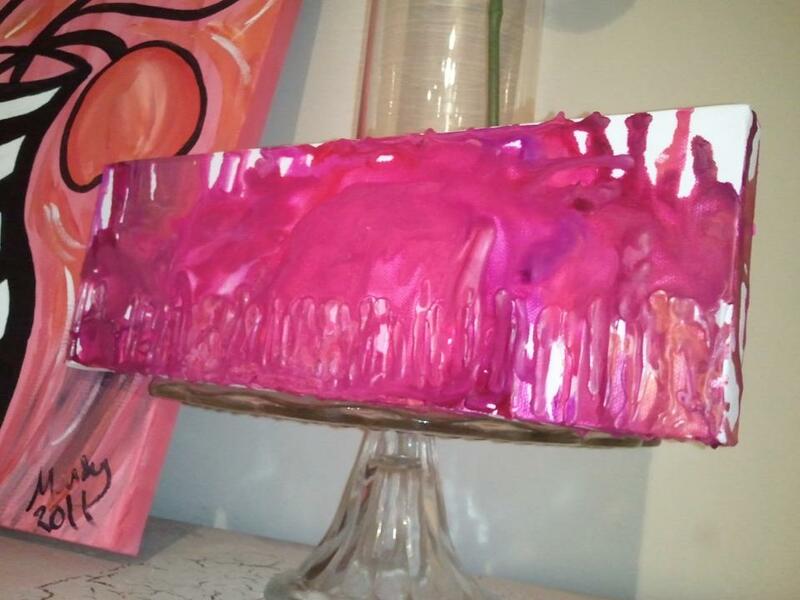 I used the hair dryer method to melt the crayons and then made sure the wax went all over the canvas. So those are my November Pinterest art pieces. What have you Pinned and created lately? This entry was posted in Uncategorized and tagged art, canvas, crafts, holiday decor, onesies, paint, pinterest. Bookmark the permalink. I love this! I’m on Pinterest all the time! I’ve used it as inspiration for party designs! I think I may try my own Pinterest art challenge. Nice onesies btw! Did you sew them yourself or did you buy blank ones and decorate? Could you shoot me the link?